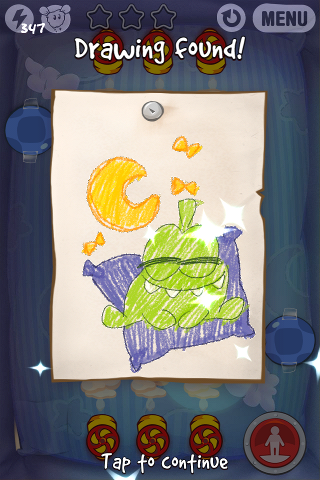 A 20th "Om Nom Drawing" (shown in above screenshot) has been added in ver. 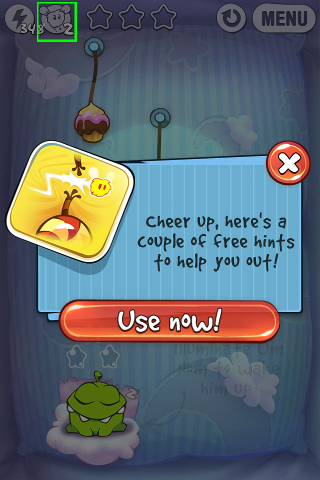 2.4 of "Cut The Rope". (For Android players) The new hidden drawing should be in the same Level 16-13 but the exact location could be different. The Android version for "Pillow Box" was released about 1 month earlier. 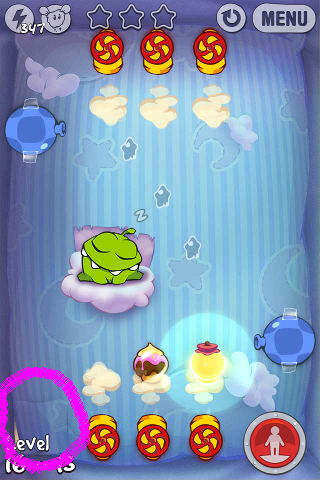 The NEW game element is a lamp which you can use to illuminate the stars and wake Om Nom up. There's also a NEW "Hints" feature (the icon is enclosed in green square at top left corner of above screenshot) to help you collect ALL 3 stars !